Cloud computing has been around for quite some time now and it has changed the way we work. The productivity has no doubt improved but has security improved at the same pace? One of the great product from MS has been Office 365. It has grown tremendously since its launch. There are various other cloud apps which are used at an enterprise level but are fairly vulnerable. Cyber thieves target cloud accounts to infiltrate organizations and steal data or encrypt data to demand ransom. Why do you need a Cloud app security? 79% of ransomware attack’s and over 90% of targeted attacks are over email. Business email compromise (BEC) attacks cost an average of $140,00 per incident. 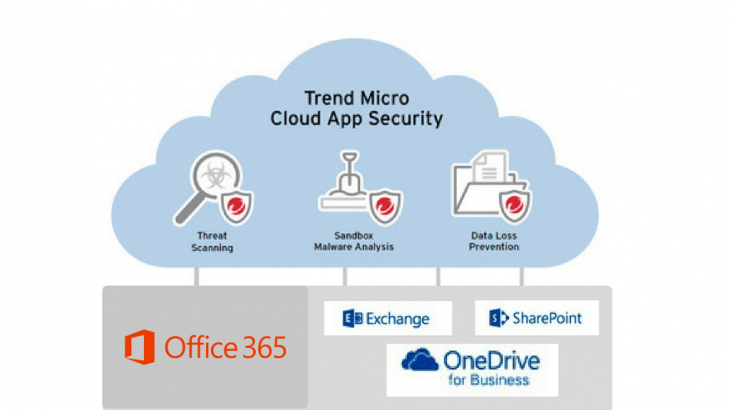 The security included with Office 365 (E3 and below) is designed to detect known malware but over 90% of malware is unknown. Employees as well as client may unknowingly share malicious files over the cloud. The benefits of a cloud security are evident. In the world of advanced targeted attacks with malwares that are created to specifically target a particular vulnerability can remain hidden from traditional safety mechanisms. Cyber criminals use sophisticated mechanism and encryptions to get ransom. Since the scale of usage has grown in numbers so grows the threat of such attacks. A connected, multi layered security suite protects data and enables you to manage users across multiple threat vectors using a single management console. Reduced risk of spear phishing. This can be done using multiple techniques such as sandboxing, multiple patternless techniques. Secure Collaboration: ensure secure cloud sharing by providing advanced DLP policies in place. Visibility over sensitive data: Central visibility over sensitive data. Scalability and high performance: Optimizes for minimum impact on administrators as well as users. Ease of deployment: it should deploy automatically with no software or device changes. No impact on Office 365. Logix Infosecurity deploy state-of-the art security solutions to counter the threats posed by cloud applications. DLP solutions are extremely important given the scale of business operations run on cloud. Cyber Security, Email, Email Security, Microsoft Office 365, Microsoft Office 365, Security. permalink.